Hamilton Beach Oven Toaster Just $29.63! Down From $60! PLUS FREE Shipping! You are here: Home / Great Deals / Amazon Deals / Hamilton Beach Oven Toaster Just $29.63! Down From $60! PLUS FREE Shipping! Head over to Amazon to score this Hamilton Beach Oven Toaster for just $29.63 down from $59.99 PLUS FREE shipping! Unclutter your counter with the ultimate 2-in-1 appliance – the Toastation Toaster and Oven. 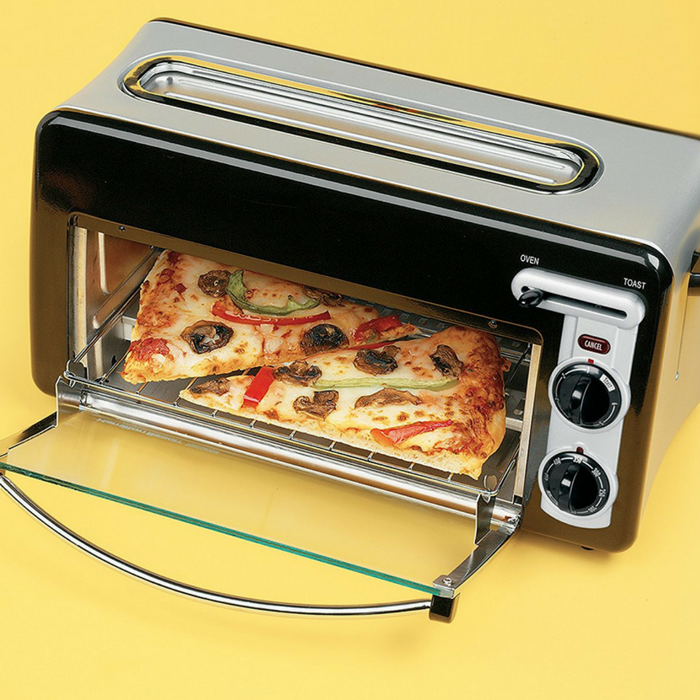 This compact toaster and oven combo lets you toast golden brown bread slices or cook pizzas with a tender, crispy crust in less time. With the simple slide of a lever, switching from toaster to oven is easy, making it perfect for the morning breakfast rush or busy weeknight dinner. Temperature controls, a toast shade selector and an automatic toaster shutoff add convenience. And a removable crumb tray makes cleaning easy.